Ebola is clearly a tragedy. The current estimate is at least 3800 deaths and this number will rise as the highly infectious disease spreads rapidly in countries in West Africa. The first deaths outside the region have also occurred. There is of course a huge amount of attention on the disease’s spread, but also on its origin and the best way to avoid future outbreaks. Ebola is one of many ‘zoonotic’ diseases-diseases which are passed from animals to humans. Ebola outbreaks occur when humans handle or consume an infected animal. Fruit bats are thought to be a particularly important natural host but a number of wild species have been found to harbour the virus. Bushmeat (meat from wild animals) is widely consumed across many lower income countries and is an important source of meat in many areas. Conservationists have long been concerned about the impacts of the bushmeat trade on wildlife populations and hunting is an important threat to many species. An article in the popular magazine the New Scientist recently suggested that the Ebola outbreak is ‘an opportunity to clamp down on a practice which both causes disease outbreaks and empties forests of wildlife’. 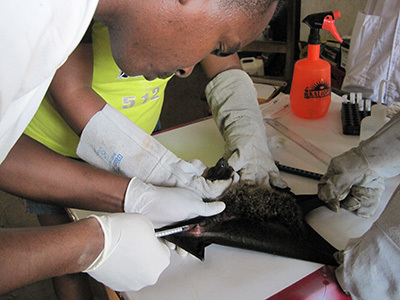 As researchers who have worked on bushmeat hunting, both from the perspective of its role in local livelihoods and impacts on wild populations in Madagascar, we are concerned about naïvely using the Ebola outbreak as way to scare governments and people to act against bushmeat. An approach which uses a difficult situation to achieve a conservation aim is immoral (and also, as John Fa and Simon Pooley rightly warn, it risks backfiring by triggering attempts to eradicate species which harbour the virus). There are very good reasons for governments to be looking at the links between bushmeat and human health (see here for a sensitive and thoughtful article about the issue), but to see an opportunity to achieve conservation aims as the ‘silver lining’ in this Ebola tragedy is deeply problematic. 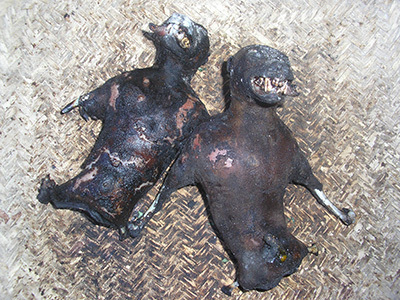 In Madagascar, bushmeat is an important source of protein to many people but poses a severe threat to some species. Recent research by the Institute Pasteur in Antananarivo and others (some funded by the UK’s Darwin Initiative) is starting to fill the huge knowledge gaps about the extent to which bushmeat hunting poses a disease risk to people (and how these risks can be mitigated). What is needed is quality research and effective communication to policy makers and communities. Scare stories with any sort of hidden conservation agenda are not helpful.